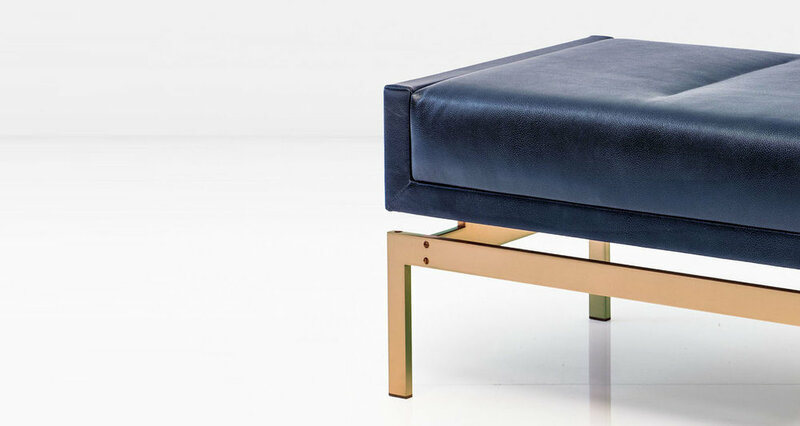 The sheer presence of the Olivera Ottoman in any room greatly outweighs its physical size. Shown with Silicon Bronze base and Ink Leather (last image shown with Nickel base and Rosso Leather). Available in other metals.